The new year is filled with magazine articles about organization, sales on storage containers of all shapes and sizes, and blogs about getting your life back in order after the holidays. January is a great time to clean out the cobwebs and start afresh. Or, if you're like me, Jaunary is for recovering from the holidays, and FEBRUARY is the time to dig your heels in and start the big clean-out. Actually, I am a big organizer (at heart) year-round. I daydream about perfectly organized closets and cupboards. In reality, I struggle to acheive it. It takes time to go through everything and get rid of things. Especially after a move and with kids to clean up after on a daily basis. 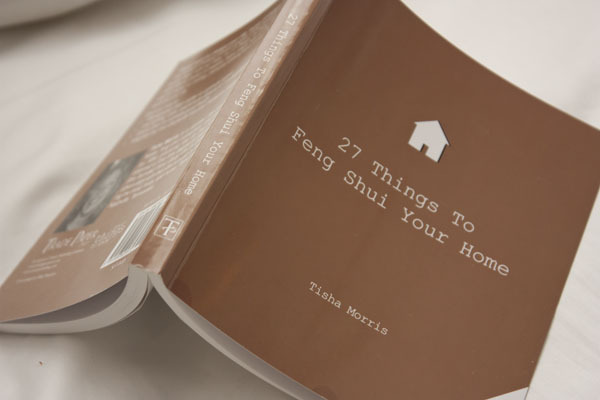 I have always been intrigued with the concepts of Feng Shui, so I decided to buy an inexpensive little book I once read about on some long-forgotton source: 27 Things to Feng Shui Your Home. I don't prescribe to the deeper philosophies and religion behind Feng Shui, but at a very basic level, I believe that having an organized space brings peace and positive energy to your home. Having too much clutter wears me down. When I lose track of something it nags at me until I relocate it. Searching through piles to find something is time consuming and frustrating. Thus, getting organized is a mission I will be on for a long time. I decided it would be fun to use this book as a guide to tackle projects throughout the year. Organization is only part of Feng Shui, however, so many of the items have to do with space clearing and adding positive energy to your home. Some of the 27 things are practical (clean your windows), some a bit more absract (add pink to enhance your love life?). Some I may repeat and some I may skip. 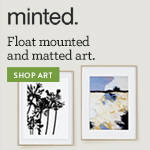 In any case, I will find a way to apply them to my home in a practical manner that works for me. That is why it is Feng Shui My Way. If you want to join in, you can apply the projects in a way that suits YOU. Every other Friday I will post a new Feng Shui My Way assignment. Each Friday in between I will share the project I chose to tackle and invite you to leave a comment about your own experience. You can post the button below on your blog if you would like to follow this project and post about your projects each week! Use the following URL (/feng-shui-my-way/) to link the button back to the permanent Feng Shui home page on my site (accessible in the menu at the top of this site or by clicking on the Feng Shui My Way button on the right.) There I will keep the information written above and a link to all projects added to date. You can choose to clean out any closet, but you should start with the one that is most personal to you. In my case, this is my bedroom closet. That is enough for me to tackle in one week, but if you are particulary ambitious you can move on to other closets, cabinets, or drawers in your house. This is one assignment that is likely to repeated! You have heard the saying above, and it is a great guideline to follow as you are cleaning out your closet. My bedroom closet is much smaller than it used to be, as I wrote about here. Half of my clothes are in bins still, and since I haven't completely swapped out my summer clothes for winter clothes, I am often digging through the bins to get what I need. What a mess. My wardrobe needs are also drastically different here on the farm than when I had a desk job. High heels and dress pants are suddenly highly impractical. I think I may have a hard time getting rid of some of the nice clothes from my past, but I certainly don't need them anymore. I am going to pull everything out of my closet and only put back the things that I really love and feel great in, and that fit my lifestyle now. I would love to pare it down enough to fit everything in my closet, but most likely I will store my summer clothes in another spot. and Dream Closets to Make you Drool! I do hope you will join me and share your projects. I'll see you back here next Friday with the results!